Trademark Carpet Tile is attractive and stylish while built to perform in the heaviest of traffic areas at a very affordable price. Trademark Carpet Tile is available in 6 distinct colour ways that are sure to coordinate with any dicor. The tiles are 19.7 x 19.7 (50cm x 50cm) making them very easy to handle and install. Trademark Carpet Tile provides exceptional wear and is covered by our lifetime commercial wear warranty. Carpet Tile adds warmth and comfort making it a desirable option in the toughest of commercial or residential applications. Installation only requires measuring tape, chalk line, sharp utility knife and a carpenter square, along with a pressure sensitive carpet tile adhesive. Trademark Carpet Tile is the perfect answer to your most demanding applications without compromising style. This Product Contains 54 Sq.Ft./Case. Lifetime commercial wear and lifetime commercial backing performance warranty. Call 1-888-626-2466 for full details. Astella Modular Carpet Tiles are Canadian made and are ideal for: basements, studios, playrooms, game rooms, living rooms, bedrooms as well as home and commercial offices. The installation TAB system, which is included in each carton, is a glue free method which allows the installation of carpet tiles over most hard surface without using adhesive resulting in a durable "floating" floor. The major advantages of this system include: Quicker installation and decreased down time (no need to wait for the glue to dry, easier floor preparation and no mess), can be installed below, on or above grade and can easily be removed when changing or replacing a carpet tile. Bonafide Night Sky Carpet Tile is attractive and stylish while built to perform in the heaviest of traffic areas at a very affordable price. Bonafide Carpet Tile is available in 5 distinct colour ways that are sure to coordinate with any dicor. The tiles are 19.7 x 19.7 (50cm x 50cm) making them very easy to handle and install. Bonafide Night Sky Carpet Tile provides exceptional wear and has our Never-Stain peace of mind warranty that the carpet will always be cleanable and will never permanently stain. Carpet Tile adds warmth and comfort making it a desirable option in the toughest of commercial or residential applications. Installation only requires measuring tape, chalk line, sharp utility knife and a carpenter square, along with a pressure sensitive carpet tile adhesive. Bonafide Night Sky Carpet Tile is the perfect answer to your most demanding applications without compromising style. This product contains 54 sq. ft./case, 20 tiles/case. Genuine Carpet Tile is attractive and stylish while built to perform in the heaviest of traffic areas at a very affordable price. Genuine Carpet Tile is available in 4 distinct colour ways that are sure to coordinate with any decor. The tiles are 19.7 x 19.7 (50cm x 50cm) making them very easy to handle and install. Genuine Carpet Tile provides exceptional wear and has our Never-Stain peace of mind warranty that the carpet will always be cleanable and will never permanently stain. Carpet Tile adds warmth and comfort making it a desirable option in the toughest of commercial or residential applications. Installation only requires measuring tape, chalk line, sharp utility knife and a carpenter square, along with a pressure sensitive carpet tile adhesive. Genuine Carpet Tile is the perfect answer to your most demanding applications without compromising style. This Product Contains 54 Sq.Ft./Case. Genuine Carpet Tile is attractive and stylish while built to perform in the heaviest of traffic areas at a very affordable price. Genuine Carpet Tile is available in 4 distinct colour ways that are sure to coordinate with any dicor. The tiles are 19.7 x 19.7 (50cm x 50cm) making them very easy to handle and install. Genuine Carpet Tile provides exceptional wear and has our Never-Stain peace of mind warranty that the carpet will always be cleanable and will never permanently stain. Carpet Tile adds warmth and comfort making it a desirable option in the toughest of commercial or residential applications. Installation only requires measuring tape, chalk line, sharp utility knife and a carpenter square, along with a pressure sensitive carpet tile adhesive. Genuine Carpet Tile is the perfect answer to your most demanding applications without compromising style. This Product Contains 54 Sq.Ft./Case. Trademark Carpet Tile - Pinto Bean 50cm x 50cm - (54 sq. 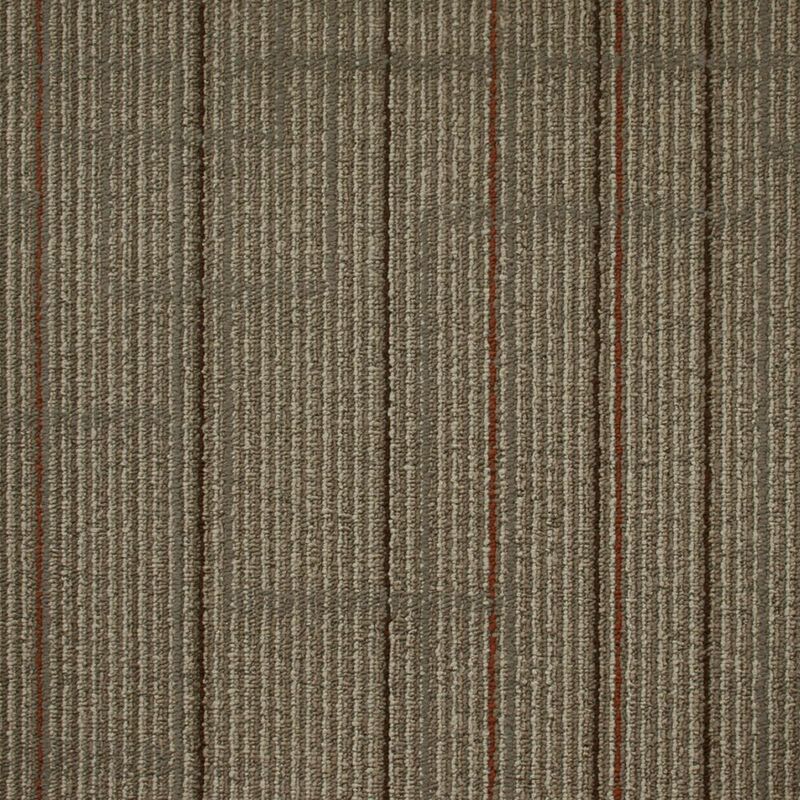 ft./Case) Trademark Carpet Tile is attractive and stylish while built to perform in the heaviest of traffic areas at a very affordable price. Trademark Carpet Tile is available in 6 distinct colour ways that are sure to coordinate with any dicor. The tiles are 19.7 x 19.7 (50cm x 50cm) making them very easy to handle and install. Trademark Carpet Tile provides exceptional wear and is covered by our lifetime commercial wear warranty. Carpet Tile adds warmth and comfort making it a desirable option in the toughest of commercial or residential applications. Installation only requires measuring tape, chalk line, sharp utility knife and a carpenter square, along with a pressure sensitive carpet tile adhesive. Trademark Carpet Tile is the perfect answer to your most demanding applications without compromising style. This Product Contains 54 Sq.Ft./Case.